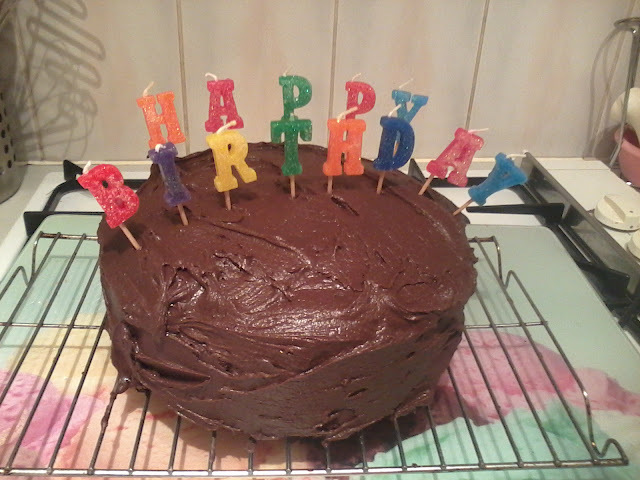 This week was my Boyfriend's birthday so I baked a cake. He does not have any allergies (lucky him) but I did make a Dairy & Egg free cake otherwise I do not get to help him eat it. The recipe which I have used on several occasions comes from Pure Dairy Free Spread website. I have bought Pure margarine for years personally it is my favourite margarine/butter substitute. My one tip for making this cake is sieve all the dry ingredients and whisk the batter. I find the more air I can get into the mix the better it rises. I also find it helps make the cake texture fluffy and moist. Check out the Pure website as there are lots of great dairy free meal ideas. Even if you do not have to follow a dairy free diet you can adapt the recipes with regular milk & butter. I've also been on a bit of a winning streak lately. I should probably go buy a lottery ticket. Sticking with the dairy free theme I won Alpro Soya Vanilla deserts. I regularly buy these but it's always great to get a freebie. My next prize I won via www.nutribeautyproducts.com. 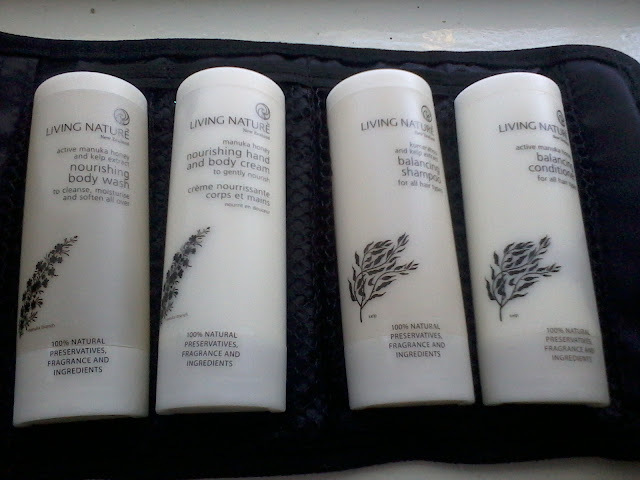 I received a Living Nature Body Essentials set which comes in a fabric wrap tote and contains: 50ml Nourishing Body Wash, 50ml Nourishing Hand and Body Cream, 50ml Nourishing Shampoo, 50ml Nourishing Conditioner. 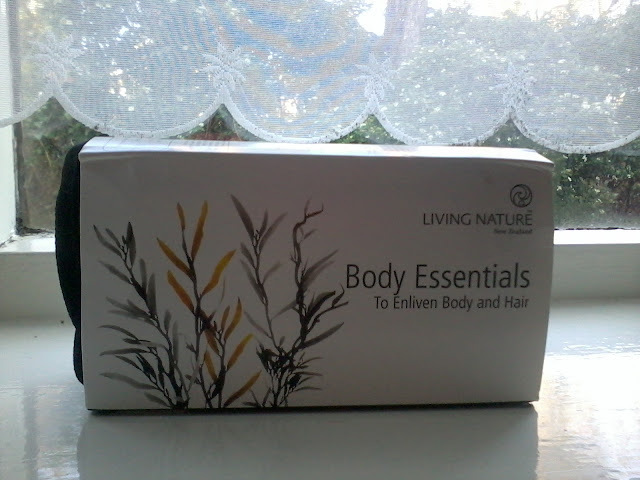 If you are not familiar with Living Nature it is a New Zealand brand which is 100% natural. I have tried samples before and been impressed so I am looking forward to testing these. Lastly, I won via Love Lula a Balm Balm Facial Kit which contains Light Coconut Cleanser, Witch Hazel Toner, Rosehip Serum, Hibiscus Face Mask and a muslin cloth. I am familiar with the brand and I love their lip balms. 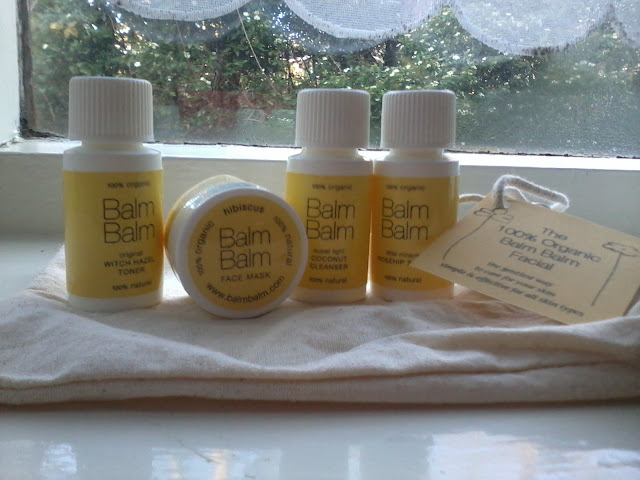 This is a facial range I have wanted to try as Balm Balm is 100% Organic and natural. So far I have used the cleanser and serum and I really like them. The only thing that took me by surprise is they are both liquids so unfortunately I spilt them everywhere. For some reason I thought the cleanser would be a milk cleanser. Also I think the choice of the word serum is a mistake as this is an oil. In my mind a serum should be a a gel like consistency. I wouldn't use the serum in the mornings but it is lovely as an over night treatment. I hope everyone is having a nice weekend? Let me know in the comment section below what you have been doing. Wow you must have some amazing luck!